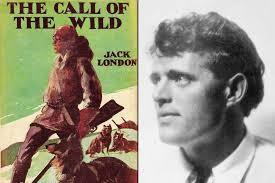 If the dictionary had an entry for the term “bigger than life”, right next to it would be a picture of Jack London. Here was a soul so outsized, so fiercely romantic, and so exuberantly committed to extracting every last drop of nectar from life, even if it killed him (which it certainly did) that in our jaded world of today the man would be dismissed as hopelessly corny. He’d be pilloried on social media, disdained with a savagery to match the current adulation of meaner, smaller spirits (and you know who I’m talking about). Which would be fine with Jack. A passionate socialist and advocate for the working man (let’s face it, there was nothing he wasn’t passionate about), he would have loathed popular culture with its vile excrescence presently culminating in Donald Trump. And he would have decried the whole parade of cheap, anonymous online meanness that passes for discourse in today’s cowardly, indoors, pantywaist popular culture. He would have picked glorious bar fights just to correct the universe’s trajectory. But I digress. There is nothing about the man’s life that fails to defy exaggeration, including the circumstances of his birth. His mother Flora Wellman, the daughter of a canal builder, was a music teacher and spiritualist who channeled the spirit of an Indian chief named Black Hawk. I’m not even kidding. She took up with an astrologer in San Francisco who got her with child and then demanded she have an abortion (this is all prior to 1905, by the way). In desperation, Flora shot herself. She survived, had the baby — our one-day world-famous writer — and assigned his care to a former slave named Virginia Prentiss, who became the true maternal figure in Jack’s life. 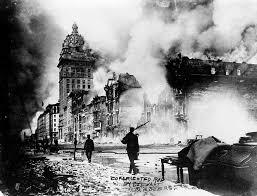 Whether or not Flora and Jack’s weirdo baby daddy were ever legally married is lost in the ashes of history, or more specifically, in the Great Fire following the San Francisco Earthquake of 1906. See what I mean? You can’t make this stuff up. Moving on: Flora married Jack’s stepdad John London, a disabled Civil War vet, the family settled in Oakland, and at the age of 13 Jack went to work at a cannery where he toiled for 12 to 18 hours a day. That got old fast, so he borrowed money from Virginia, bought a boat, and became an oyster pirate. It was a short-lived career that lead to a string of self reinventions, including sailor, hobo, jailbird, and union activist. And then he went to high school. It may not surprise you to learn that he had rather a lot to contribute to the school newspaper. Due to the generosity of the bar owner who owned the joint where Jack did his homework, he was able to get into the University of California at Berkeley but the dire financial climate of the time forced him to drop out. So then he headed north and joined the Klondike Gold Rush, and I’m sure I don’t have to tell you what came of that: To Build A Fire, The Call of the Wild, and White Fang. Please tell me you read them all when you were twelve. If not, stop right now and go do so immediately. I’ll wait. OK, back now? Feel like you’ve just taken a bracing shot of whiskey after sucking in a lungful of pure, snow-laced air? Good. Don’t forget to read The Sea Wolf next chance you get. After surviving scurvy and a few other Klondike-induced calamities, Jack entered into a first marriage wherein he got to test his Darwinist, eugenics-inspired views on the institution. 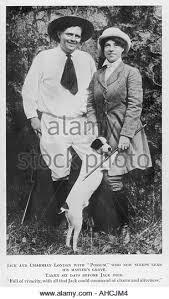 He and wife Bess (or “Mother-Girl” as he liked to call her; I know, ick, right?) openly avowed no passion for one another but decided they would produce sturdy children. They had two kids, apparently hale and hearty, and then gave up on the marriage project. Turned out that a loveless union wasn’t all it was cracked up to be. No, boundless, epic passion was Jack’s natural state. Focusing his abundant natural energy, he went on to build a fortune as one of the world’s first best-selling fiction writers, sail halfway around the world in a vessel of his own design, and establish a private paradise in Sonoma County. And the best part is that he found his soul mate. Wait until you meet the extraordinary Charmian Kittredge, destined to become the new Mrs. London. Tune in next week, dear readers. And do let me know your thoughts on my quirky history of wine country writers!